Having two very convenient locations in Sydneys prime regions, Sydney Wide Chiropractic Clinic is easily accessible to many Sydneysiders. Not only having the two locations but also having a 7 day a week operation makes it perfect for the busy individual that is unable to take time throughout the week due to their commitments. The team at Sydney Wide Chiropractic Clinic Wentworth Point is highly qualified and experienced. In relations to any of our Chiropractic services in Wentworth Point, all other Chiropractic Centre’s cannot compare to our level of service and care. Our highly experienced Chiropractors in Wentworth Point are extremely difficult to find and we understand this. 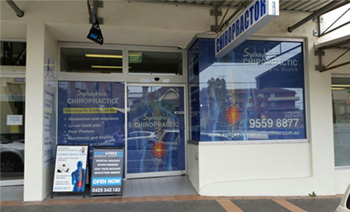 We have been able to build a highly regarded reputation when it comes to chiropractic services in Wentworth Point. Sydney Wide Chiropractic Wentworth Point Centre’s unique point of difference compared to Chiropractors in Wentworth Point, we offer upfront clear pricing, no hidden fees, prompt service. Our after patient care is of high standards where we will follow up with you between 2-4 weeks after your visit.